Available in a range of different lengths, our galvanised pump lifting chains are specifically designed for use in underwater settings. They are ideal for lifting and lowering submersible pumps in sewers, waterworks, and similar environments.  As you can see, we sell a variety of pump lifting chains here at SafetyLiftinGear. Each of the products listed above has a different WLL (Weight Load Limit) - this tells you the chain's capacity, i.e. the heaviest load that can safely be handled using that product. Before you place your order, please ensure that your chosen pump chain has a WLL that is sufficient for your requirements, as exceeding the chain's capacity may be dangerous. Additionally, each pump lifting chain is available in multiple different lengths, so you can be sure that your chain won't fall short of what's required of it. Any questions about our pump lifting chains? Get in touch with SafetyLiftinGear now!